« The time is not trying to convince but to seek to collect. Those who have still not understood today, remain our fiercest opponents, will not include benefits tomorrow. Let them get bogged down in their sterile polemics and attacks – well worthy of their mediocrity – and fraternally work! This word is heralding actuels.Elle time invites us to gather because it is already too late … for convaincre.Jimmy was ahead of its time. Jimmy Guieu is the literary pseudonym of Henri-René Guieu (19 March 1926-2 January 2000), French writer of science fiction publishing including Black River. Guieu also wrote under pseudonyms other less known: Jimmy G. Quint, Claude Dominique Rostaing or Aquarius. Jimmy Guieu wrote his first novel at the age of 25 years for editions of Black River. The pioneer of the atom was number 5 of the famous collection « Anticipation » collection has more than 2000 titles, all authors alike. During the occupation Guieu Jimmy himself by acts of resistance in the maquis Dompierre-sur-Yon (Vendée, maquis SR-1). This notion of resistance, it is against totalitarianism, mafias or bad aliens, remain omnipresent in his work. 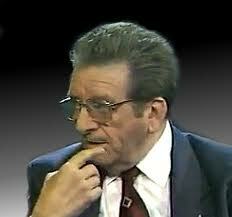 In the 1950s, he became one of the pioneers of French ufology, with Aimé Michel. Overcome by illness, he leaves a final manuscript: « Earth, your civilization on the lam ». Jimmy Guieu productions are not limited to writing. Between 1991 and 1994, in the collection « The doors of the future » which he presents himself as the creator and director, he published a series of 14 documentaries. While most of the subjects covered include aliens, mysterious themes as Rennes-le-Chateau or Vortex are also addressed with the support of relatives as Guy Tarade. These documentaries are Jimmy Guieu a platform from which he slams GEPAN, SEPRA, and warns the audience against maneuvers orchestrated disinformation globally by occult powers. Jimmy Guieu that blends UFO and Illuminati .. But there is a reason. You can also learn about the Majestic 12 is an organization that research on the development and technology borrowed on UFOs. If you are interested in looking after this episode, do a search on Youtube, this is not the new world order is on ufology and a little corporate secret. Guieu Jimmy is a man who has my repect, inhabited by an insatiable desire to discover and to seek, passionate to the extreme, perfectly methodical and rigorous, self-taught scholar and has always produced all alone and continued to work as a acharché even on his deathbed until the cancer wins, cancer caused because he was murdered, he had to work to cover the costs of his medical care. Indeed, shortly after his burial, they discovered two radioactive uranium rods in his chair …. which would have caused the cancer. We, Defenders of the Earth, consider to be his heirs.’s Message that we perpetuate can be summarized as follows, but it is only a small portion of its vision.Actuellement, continues his fight openly. Nearly 70 years after Roswell, the enigma of a UFO crash in New Mexico, still resonates with the public. Despite denials and disinformation operations of U.S. intelligence, the evidence is piling up: The letter will of Walter UP is an essential document. All the modern technology, smart cards, Stealth, implants, laser, would come from the U.S. recovery by a UFO and its occupants in 1947. They are vectors of time, holograms, multi-dimensional beings, invading our imagination and shaping the material world and at their discretion, quantum physics will soon be a definitive answer to our questions. Me, Michel Duchaine, I decided that a man like him deserves to be honored by devoting one day, or of his death to honor Truthseekers and Truthtellers who sometimes give their lives as him, to the Light burst forth on the Night.